Since father’s day is this week, I thought it was an opportune time to share some of my observations and experiences from chatting to dads at work. I have spent the last 17 years delivering support to parents in their place of work through webinars, seminars, workshops and consultations. I have always had a healthy representation of dads in the audience. However, it is only very recently that I have heard so many dads talking about issues that are very specific to them. Increasingly, I am noticing fathers discuss striving for a healthy work-life balance and for more time with their children just as much as mothers. Mothers are gaining more equal access to employment, whilst fathers want to spend more time with their family and fulfil their childcare responsibilities. We have progressed a long way from the stereotype of fathers at work as the main ‘breadwinner’ and mothers staying at home as the primary carer. It is very common practice for mothers to work and for fathers to be far more ‘hands on’ at home: involved in chores, nappy changing, helping with homework etc. The role of mother versus father is far less distinct than it was in our parent’s generation. Fathers at work are experiencing and feeling the same pressure as mothers to ‘have it all’ . Right from the start, parental instinct is as real as maternal. Men have a hormonal response when their baby is born with an increase in oxytocin and oestrogen leading to a feeling of natural protectiveness for their baby, which never really goes away. 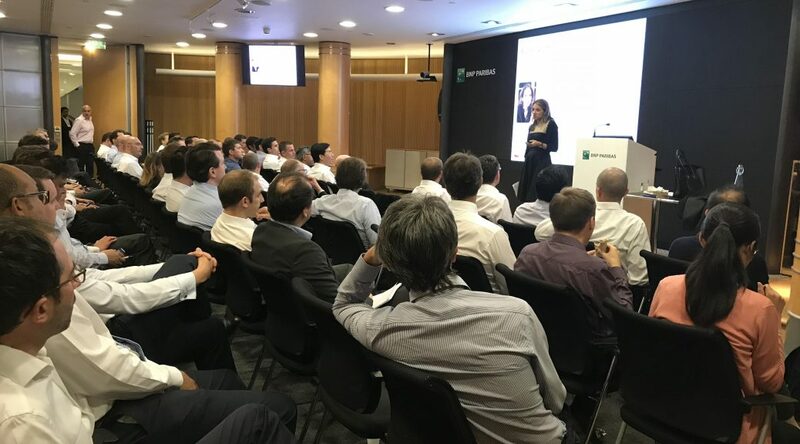 I facilitated a particularly positive session at Barclays towards the end of last year in celebration of International Men’s Day, where fathers in very senior roles were sharing how they made agile working viable for them. Even if it just meant something as simple as leaving work early on Thursdays to take their son to rugby practice. At another bank this week the auditorium was packed full of dads who wanted to attend my session specifically geared to them, that explored how the role of a father is changing and how they could get the best out of their relationship with their child. When I asked how many were working flexibly, only one father half stuck his hand up and then said it didn’t really count as he doesn’t do it anymore. This seems to be very much the norm. From speaking directly to dads about their differing experiences at work, there are a number of factors clearly standing in the way of enabling fathers to spend more time with their children and benefit from a full, healthy work-family merge/balance/mesh. · Very low take up of ‘Shared Parental Leave’ and ‘Paternity Leave’ for a number of reasons; financial, how it is perceived by colleagues, the impact it may have on career progression and that mothers don’t always want to share their hard earned maternity leave with fathers. · There is still a prevailing macho culture. At this time of year, many dads I speak to admit that they don’t feel they can announce they are leaving work early to attend sports day or an end of year school play. Or even openly request early leave for that purpose, whilst mothers can. · Of course every individual experience is very much dependent on the attitude of line mangers and the role models in senior management. · Paternity allowances are not in line with maternity allowances. · More and more corporates have the right policies in place and ‘talk the talk’ but the reality and every day experience is usually very different. · There can still be some ‘maternal gatekeeping’ in families, where even mothers that work equal hours to their partners block men from helping with things like homework and extensive childcare. Earlier this week, I was fortunate to hear Sarah Jackson of Working Families, share her findings form the ‘Modern Families Index 2018’. 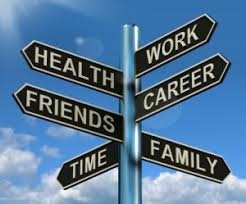 · Almost 1/3 of parents felt they could not work flexibly (due to job type, organisational policy, manager opposition, fears about perceived lack of commitment or fears about disadvantage re promotion or pay). · A greater % of fathers (37%) than mothers (32%) resented their employer for their lack of work-life balance. · A greater % of millennial fathers than mothers over the next 2 years intend to reduce their work or downshift to lower jobs. Clearly huge cultural shifts still need to happen over the coming years so that genuine flexible or agile working is available to all, irrespective of whether or not you are a parent. I genuinely feel that fathers’ increased participation in family life is one of the greatest changes in the 21st century. Fathers absolutely need to be granted the same opportunities to bond with their children as mothers are given. I passionately believe that both fathers and mothers, children and employers would benefit enormously if this became a reality. I probably get asked to share mine more than most. Both by individuals and as a subject for speaking engagements. But as a working parent setting up their own business, it’s also very personal. Half term pushed it to the front of my mind again – as I’m sure you’ll relate to if you have (or have had) school age children. This got me thinking about triggers. Because it’s not just school holidays that create new challenges (as well as opportunities). If you have pre-schoolers, childcare breakdown is a biggie. I still remember vividly the week ours broke down the same week I was presenting to the Exec at Sky. PANIC. I handle these situations much better these days, but that doesn’t mean I don’t still feel the same emotion in the moment. The trick is recognising this and having a plan to deal with it so that the emotion is quickly replaced by action. Or better still stopping the situation arising in the first place. What are my best tips? For starters you need to recognise your own triggers. And they can come in all shapes and sizes from the everyday challenges of pick up and drop off to the bigger ones like a childcare breakdown. Think about when you’ve had those panic moments. What triggered them? For me this was about more than a childcare breakdown, it was about the thought of not being able to deliver on a specific commitment. What are the flash points for you? And what are the physical and emotional reactions you have in those moments? Learning to recognise them is half the battle. Once you know the triggers you need a plan for how to deal with them. For each trigger you’ve identified think about what you could do to relieve the pressure. There are some simple things you can do that can make a big difference (see below) but the main point here is you’ll feel prepared. In control. And that will make the biggest difference of all. There is a stat banded around that this happens on average 8/9 times a year for every family. But regardless of the number and how good your set up is, if you have childcare (or eldercare come to that) it WILL breakdown at some point. And I include your child being sick and unable to go to school in this definition. So better to be prepared for that. Are there any family or friends who you could ask to be on standby to step in and help? Can you agree a plan with your Line Manager in advance? Does your employer have a back-up childcare benefit you could register for? And failing all that, if it’s just down to you, could you work differently? In the example I gave above, a very good friend I consider a mentor helped me realise I didn’t HAVE to be in the office all week, only for the presentation. So my husband and I switched everything around, took it in turns to work from home a few days (with the help of an emergency nanny until we felt comfortable leaving them together) and got my mum to help the day I needed to be in for the presentation and my husband also had to be in the office. There’s no judgement either way here, you need to work out what’s best for you but DO ask yourself some questions and be honest about the answers. Are you comfortable being on call when you’re out of the office? And if so, how often do you want to check email? How can you best use your out of office? Is drop off or pick up a particular challenge and if so is there anything you can do to take the stress out of your diary? I used to block 30 mins in my diary at the beginning or end of some days and challenge myself – does it really need to be me at meeting? You get the idea…it’s hard but once you define your boundaries – and most importantly stick to them – it can be very liberating. At least straight away. This one’s definitely not just for parents but it’s one I only discovered once I became a parent. This is different to saying no (although I also advocate that in the right circumstances). It’s a way of making sure you don’t automatically say yes and take on more, because you’re under pressure when you’re asked. Buy yourself a moment to reflect. Is it core to your role or would someone else be better placed to do it? And even if you feel on reflection you should say yes, challenge yourself on the timings – when does it really need to be done and what exactly is being asked of you? No-one has enough hours in the day anymore it seems. So all the more important once you have decided to take on a task, to be clear before you start exactly what’s being asked of you and therefore what your options are to deliver it. There’s a temptation (especially for the perfectionists amongst us like me) to go the extra mile – every time. But if you stop for a moment you realise whilst there are times when this absolutely does pay off, these are few and far between. And in fact by getting the job done (well vs perfectly) you actually buy yourself time to deliver more – either at work or home. And that has to be a good outcome for everyone. I wanted to finish on this one. I heard it from Sue Unerman, Chief Transformation Officer at MediaCom and a fellow speaker at the recent Digital Leadership Forum conference. It comes from MediaCom’s “Project Blend”. They ask employees the question, whether they are parents or not. I love it. To me it epitomises flexibility being for everyone. I think it’s also a great way to check yourself on your own priorities. Whether that’s making the school play, doing your share of drop offs or doing a great job on project X (and most likely all of the above and more), if you’re clear on what matters to you, you can build a plan around that – and you’ll be happier for it. Article written by Catherine Oliver. Founder of Bluebell Partnership helping working parents and women in leadership to reach their full potential.